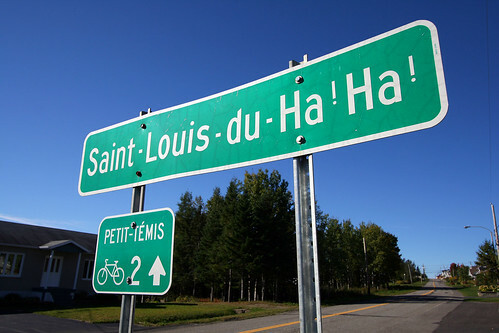 If you ever travel across Canada you'll notice some strange place names. Here are just a few. Just minutes from Collingwood, south on highway 24 is this lovely little village. Osoyoos is the southern-most town in the Okanagan Valley in British Columbia between Penticton and Omak. Near the border with Washington state, the town is also adjacent to the Indian Reserve of the Osoyoos Indian Band. In Cypress County. It is located approximately 20 kilometres southwest of Medicine Hat. Actually, Princess Louise, Duchess of Argyll, named it after her mother, the Queen Victoria Regina. Located in south-central Saskatchewan. Residents of Moose Jaw are known as Moose Javians. Located at the northeastern extremity of New World Island. Located in southwestern Ontario. It is an unincorporated hamlet. The town is known for its strange name and frequent sign theft. Located between Heart’s Content and Heart’s Delight, this town got its name from its scenic views.